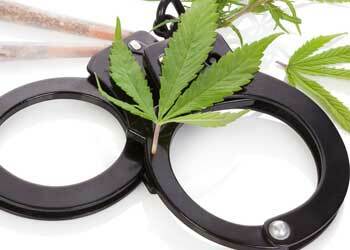 If you are charged with a drug offense in Tucson then you need a good lawyer. Arizona law has several classifications of drugs, including dangerous drugs, narcotic drugs, and marijuana. Dangerous drugs include, but are not limited to: methamphetamine, LSD, anabolic steroids, Ecstasy, and prescription sedatives like Valium, Xanax, and Klonopin. If you are caught in possession of dangerous drugs (A.R.S. 13-3407) you can be charged with a Class 4 Felony, which can result in a maximum sentence of 3.75 years. For a full list of dangerous drugs in Arizona, refer to A.R.S. 13-3401(6). Narcotic drugs include: cocaine, heroin, oxycodone, morphine, opium, and other substances. Being charged with possession of narcotics (A.R.S. 13-3408) is also a Class 4 Felony and can result in a prison sentence up to 3.75 years. For a full list of narcotic drugs in Arizona, refer to A.R.S. 13-3401(20). Although marijuana is less addictive than dangerous and narcotic drugs, Arizona law is tough on marijuana possession. Being caught with 2 pounds of marijuana or less, is a Class 6 Felony and can result in a prison sentence up to 2 years (A.R.S. 13-3405). Protect your freedom and let the DUI Defense Team defend you against drug charges.